With the technological advancements, the world has changed by far a lot and so have our lives. Now the littlest of things in our lives revolve around us using gadgets to complete them. Technology has taken over and with that our homes have advanced too. Samsung Smartthings is a popular connecting device of the smart home space. From all the things that smartthings require is just a hub and some compatible devices. There is a whole bunch of devices that can be connected to Samsung smartthings and 90 percent of those can easily be found on Amazon. Smartthings compatible devices go from smart LED light bulbs to sensors, outlets, hubs, switches and more. These devices can be connected with your Google assistant and the Amazon Echo dot for the accessibility of voice control. One of the easy to get smartthings compatible devices is cameras. Smartthings compatible cameras: why you should buy one? When we talk about fitting cameras in a home usually our thought goes towards cameras for security footage and that’s understandable because that’s where we mostly use it when it comes to fitting it in our homes. However, collectively there are plenty of other reasons for leaving out capturing break-ins. If you have young kids in your home you can keep a check on them. Cameras fitted in a home increase to the security hence similarly increasing it in value. There also is a peace of mind that comes with having some extra surveillance. So it comes back to the same point, yes cameras do provide safety for your home and that’s all they have been used for, from the very start so how Samsung smartthings device does change it all. Smartthings offers a lot of integrations with many home products in the category of smart gadgets. You can almost control every smart gadget that supports such integration. Take for example you can configure your smart LED lights to the setup that as soon as you leave your room they will automatically turn off on their own. Just like you can set up routines on your smartphones such as a routinely shut down on a specific time daily same goes for smart devices you can create routines with the right hardware. They use “if-this-then-what” loops to figure out situations and they can make decisions based on these loops. The latest and greatest also support voice control, things which had been a concept for many years now is actually in action. These gadgets can sync with voice assistants like the Google assistant. Things you can setup like automatically putting up a siren if the unexpected motion is detected or starting up cameras if the motion is detected and the list goes on, honestly the capabilities are only limited to the point where you stop thinking. Some gadgets are hard to find flaws about even though electronics are the ones with the most problems but Netgear Arlo Pro is one of those utter perfections. Netgear Arlo gives a good video performance with an overall positive approach. It is a weather resistant indoor and outdoor camera. It also comes with a rechargeable battery which can last as long as 6 months on a single battery charge. This keeps you out of the headache of putting up a power source. The camera also supports night vision and a two-way audio system. It’s user-friendly and easy to use, it also supports geofencing capabilities, sound and motion triggered recording and much more. With multiple options comes a big price too and so it does actually cost 300$ it does also require a hub most like other security systems. Whereas Arlo Pro HD is superior in options when it comes in comparison to the super affordable blink home security system it’s a step up. 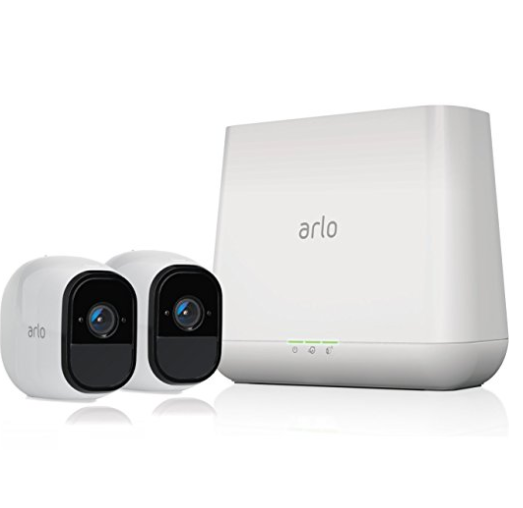 It does support night vision but that isn’t very good seeing the footage is not that of high quality moreover Netgear Arlo HD pro also provides smartthings integration and voice control. It is one of the best cameras for smartthings. The Netgear Arlo Q HD plus at first might not look impressive at all but this camera might be one of the best cameras for smartthings as it is full of features which you might not expect from such a gadget. 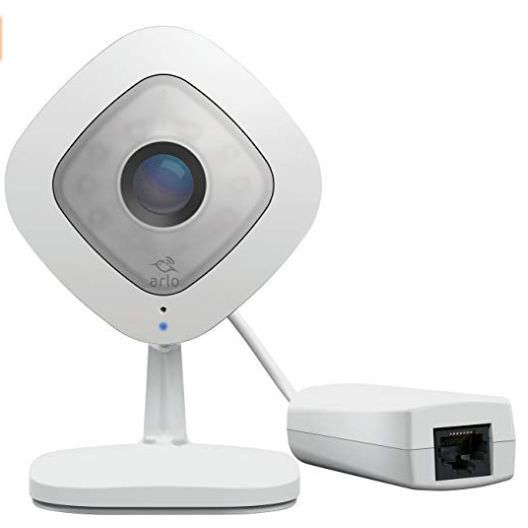 The Netgear Arlo Q HD plus supports 1080p video recording, like the Arlo Pro HD it also supports night vision, it has a micro SD card port, motion and sound sensors with a two-way audio system, it also supports Ethernet. The camera supports footage recording at a 130-degree angle vision. There is a cloud storage plan with high-quality video storage and user-friendly software for tweaking such as scheduling, motion detection and etc. It’s also very easy to set up. Net gear’s Arlo Q plus HD lacks when it comes to a single user mobile app. Where as you can find the activity zones. 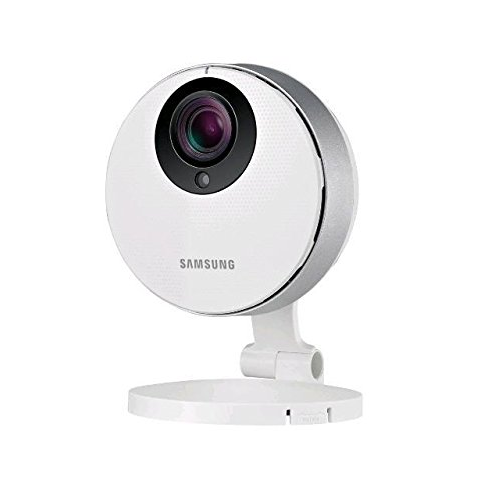 However, putting this aside overall it is a very good camera for the Samsung smartthings device and gives tough competition to other companies. While if you talk about the upsides it has high-quality footage capturing, ease of use and many user controls which you can alter. It is undoubtedly one of the best cameras for smartthings. 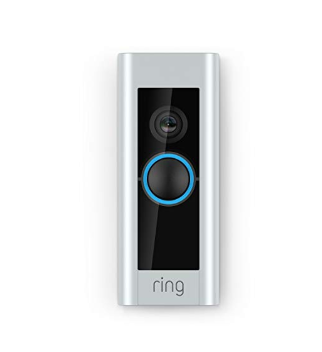 Everyone offers cameras but the ring video doorbell is something a little different from others. It offers a sharp 1080p HD video quality with a lot of customizations and smartthings integration accessibility. It is designed with all the aesthetics in mind to keep up with the new generation. Admittedly it’s not easy to install even though it’s a small device you will need the power kit for installation. Another drawback to this, there is no addon camera option for the indoor and outdoor cameras. However, for a stylish solid doorbell with a camera unit in it, the Ring video doorbell pro gives up to expectations of the user. A company which has made the camera specifically for Samsung smartthings device, it as expected works well with smartthings. It is available at a very affordable price and app access is also available. Keeping things in minds such as almost zero lag, SD card compatibility, and other options make it a true competitor as the best camera for smartthings. However talk about drawbacks and Samsung HD CAM has them as well, for starters the build quality isn’t very good and the HD cam footage which is said to be 1080p isn’t very clear. However, this might just be the top budget smartthings camera out there. Just like the Samsung smart-cam HD pro, the Samsung smartcam HD plus is also cheap on price yet when it comes to features it is no less than the others. 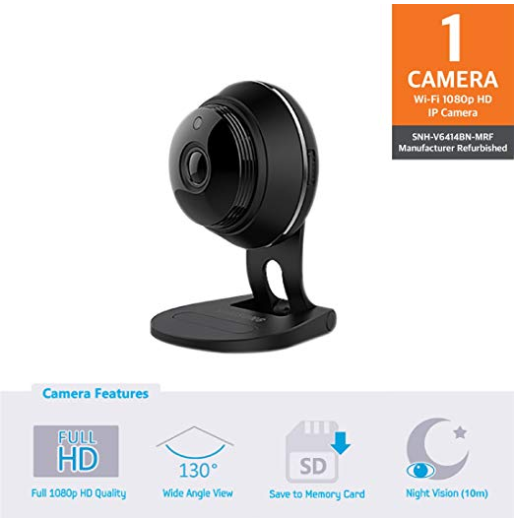 For a device, at its price, it has many great features like night vision, 130-degree angle footage, 1080p recording, smartthings integration, a two-way audio system and much more. The only down downside to this piece of perfection compared to others might be its power source which has to be a wired one and adding to the problem it doesn’t have a backup battery either so if the light goes out there will be no recording. If it had a battery power source it would easily be the best camera for smartthings at an affordable price. There are many smartthings cameras available on the internet, the ones we mentioned are the cameras officially supported by Samsung for smartthings while there are other cameras too that are not officially supported by smartthings but are compatible, they are cheap but have no video footage subscription and other facilities. You can pick what you prefer according to your place of fitment, budget, and use, working with the pros and cons of every device.